Book News | are you sitting comfortably? 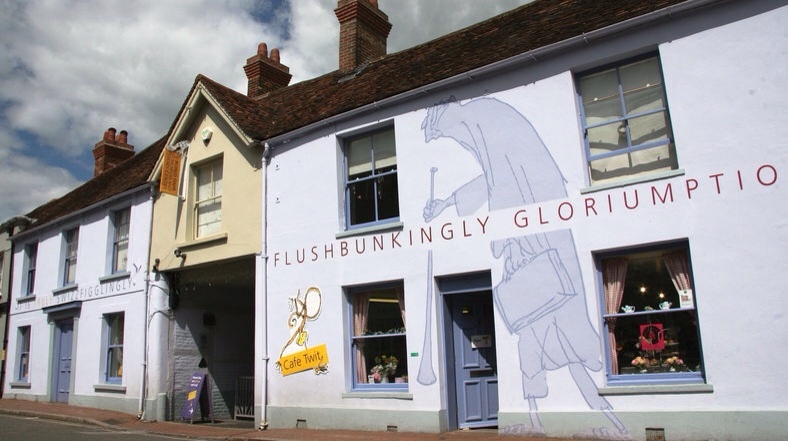 With the recent celebration of Roald Dahl day – on the author’s birthday, 13th September – and the 50th anniversary of the publication of Charlie and the Chocolate Factory, it was high time for a visit to the Roald Dahl Museum and Story Centre. The museum in Great Missenden is a charming, busy space, with Wonka gates and other donated props from the Charlie and the Chocolate Factory film adaptations. There are photos and extensive paraphernalia from Dahl’s life with the centrepiece being the idiosyncratic contents of his writing hut (like his old reading lamp weighed down by a golf ball on a piece of string). 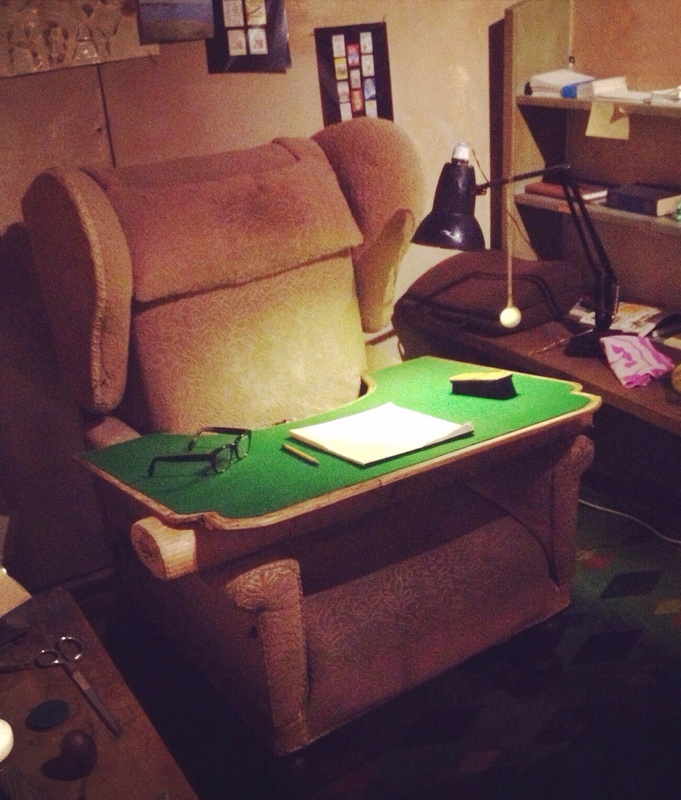 There is also a large interactive area where children are encouraged to let their imaginations run wild – from playing word games to creating a stop motion film – and pose in a replica of Dahl’s chair. When you’ve had your fill of the delights on offer in the museum, you can walk outside to the high street and see the real inspirations behind Dahl’s work – the red petrol pumps from Danny the Champion of the World, the library from Matilda – and explore the countryside he inhabited. A trip to the museum doesn’t disappoint – it offers an unique opportunity to sit in the chair and walk in the footsteps of a giant of children’s literature. 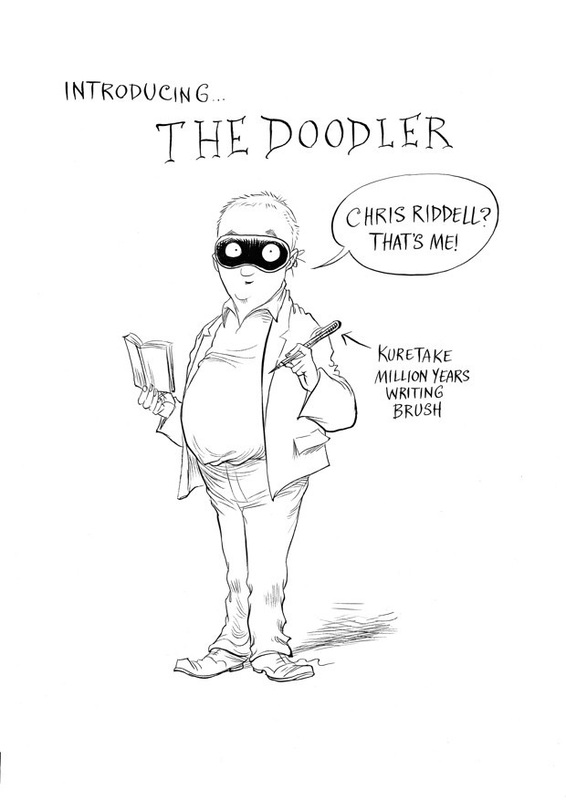 Continue the Dahl trail with a trip to the exhibition of the work of long-time collaborator and illustrator extraordinaire, Quentin Blake. Illustration has found a new home near Kings Cross and this inaugural Quentin Blake exhibition is the perfect housewarming. It is impossible to separate Blake from his magical and fruitful collaboration with Roald Dahl, and a good chunk of the work on show is from such classics as The Twits and The BFG. Alongside this though, we see storyboards from Blake’s own wordless book Clown and his riotously colourful illustrations for the Folio Society edition of Voltaire’s Candide. For me, the highlight of the exhibition was a look at his work on Michael Rosen’s The Sad Book, an exploration of Rosen’s grief following the death of his son Eddie. Nowhere is the power of Blake’s illustration and intuition felt more powerfully than in the sequence of snapshots of Eddie’s life, where the final frame on the page is left heart-breakingly blank. In the last room there is a film of Blake in his workshop and a space for visitors to explore the books featured in the exhibition. Although the thoughtful curation of Blake’s work makes it more than worthwhile, I did wonder if more space at the fledgling gallery could’ve been opened up (there did seem to be additional rooms not in use). However, Blake’s work seems so perfectly-formed that there is a real, rare pleasure in glimpsing the method behind it. I look forward to seeing what the gallery offers next. 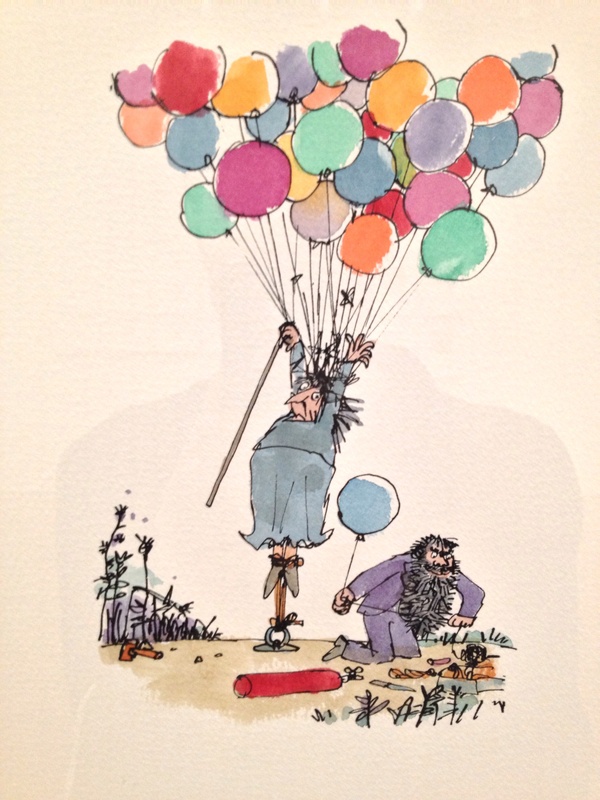 Quentin Blake: Inside Stories runs at the House of Illustration until 2nd November. 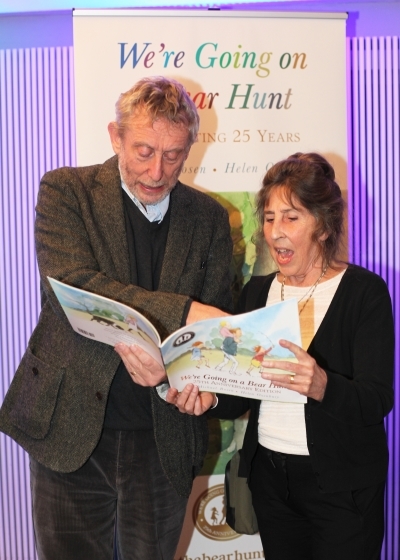 The Biggest Ever Bear Hunt will take place on Tuesday 15th July and will consist of a reading lesson with renowned author Rosen. This curriculum approved reading lesson – created by education specialist Yellow Door – will be suitable for ages three to seven. It will be fully accessible to children who are blind and partially sighted, so that they can join in the adventure too. On the day, over 1000 school children will come together at Charter Hall in Colchester in an attempt to break the Guinness World Record™ for the biggest reading lesson. 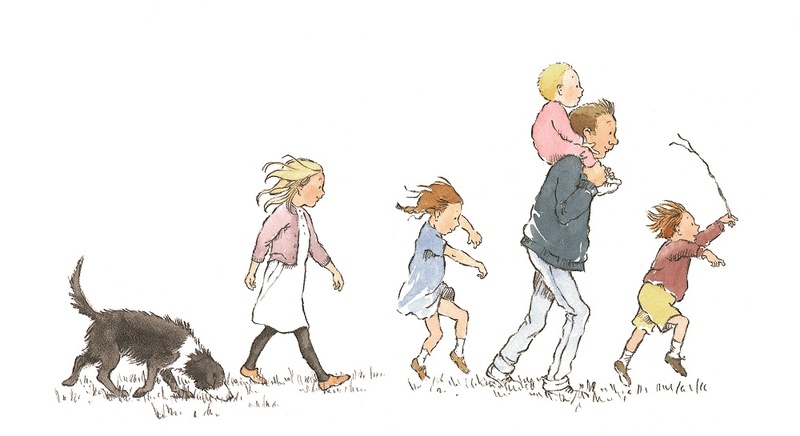 We’re Going on a Bear Hunt – which lends itself to boisterous reading and dramatic action – is the perfect choice for a big group to enjoy together. Everyone can join in the fun via a web stream of the event which will be broadcast live at http://www.jointhebearhunt.com/rnib (also available on demand after the event). All proceeds will go to Read for RNIB Day to support the RNIB’s vital work. You can find out more about what they do here http://readforrnib.org.uk/about/rnib/. Calling all schools, nurseries, mums and dads. We’re Going on a Bear Hunt. Are you coming? ‘Free admission’ is always a welcome phrase, but especially so in cash-strapped January. Well, you have permission to go wild this month with not one, but two fantastic free exhibitions highlighting the best work in children’s book illustration. The Illustration Cupboard – a magical Aladdin’s cave of a gallery – is hosting it’s annual winter exhibition until the end of January. 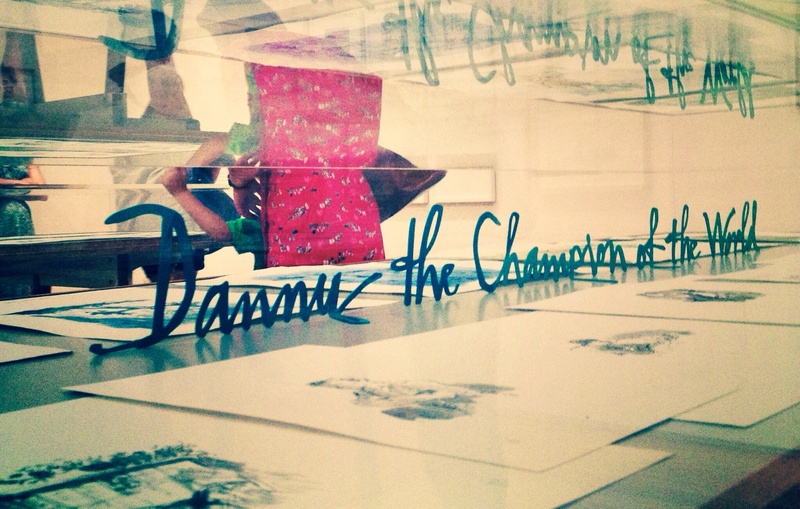 There is wonderful stuff on view – a silk-screen The Tiger Who Came to Tea caught my eye as well as, of course, original sketches from Where The Wild Things Are. There is also plenty of work on display from modern illustrators such as Shaun Tan. All the work is for sale but I quite happily ignored the price tags on the prints and just let my retinas soak it all in. Elsewhere, at the British Library, Picture This looks at ten perennial children’s classics which have been re-imagined over the decades by various illustrators. I especially loved Charlie and Lola creator Lauren Child’s work for The Secret Garden, perhaps because it summed up the cloistered wonder of this compact but dense selection of work. The exhibition ends 26th January, so don’t miss your chance to explore the history of these classic stories. And if you like a cheeky photo op, have your picture taken alongside the life-sized Iron Man (made out of card – well, it is free after all). Make Your Mark on a BookBench! Ever curled up on a good book? The National Literacy Trust – the charity dedicated to raising literacy levels in the UK – is inviting artists to send in designs for an exciting new public art project: ‘Books about Town’. 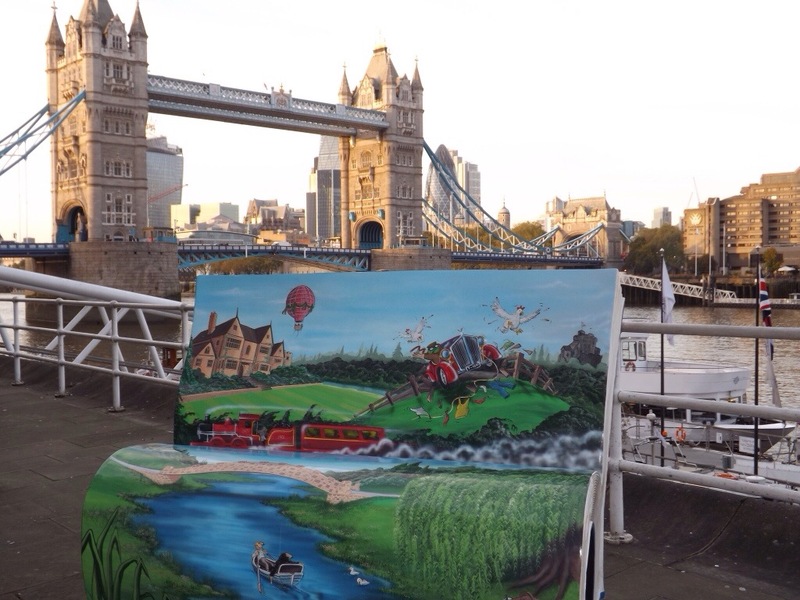 The project, to be unveiled this summer, will feature a series of ‘BookBenches’, seats boasting illustrations inspired by literary works with a connection to London. The aim is to promote reading for pleasure, and encourage visitors to discover the BookBenches by following literary trails around the city. One of the benches already complete (by artist Mik Richardson) is inspired by children’s classic The Wind in the Willows. It will sit beside the Bank of England (where Kenneth Grahame worked as a secretary). So if you are an artist and would like to submit a design for the project – run in partnership with arts and education company Wild in Art – you can download the artist’s information and apply here. Some suggestions of books with links to London can be found here. Artists are free to choose a title from this list (which includes Paddington Bear) or create a BookBench design inspired by another piece of work altogether. If are interested in submitting a design don’t dally! The deadline for entries is 5pm on Monday 20 January 2014. For more information, contact Aimee Faunt: aimee.faunt@literacytrust.org.uk. For general information about the National Literacy Trust, contact Jo Franks: jo.franks@literacytrust.org.uk. Get the latest news on this exciting venture at http://www.literacytrust.org.uk or follow the Trust on Facebook or Twitter.